Crow Andy Otten’s big week has continued with a one-year contract extension. Otten, 28, was part of Adelaide’s Preliminary Final-winning team after earning a call-up last week. It was the resilient utility’s first finals appearance since the 2012 Preliminary Final. 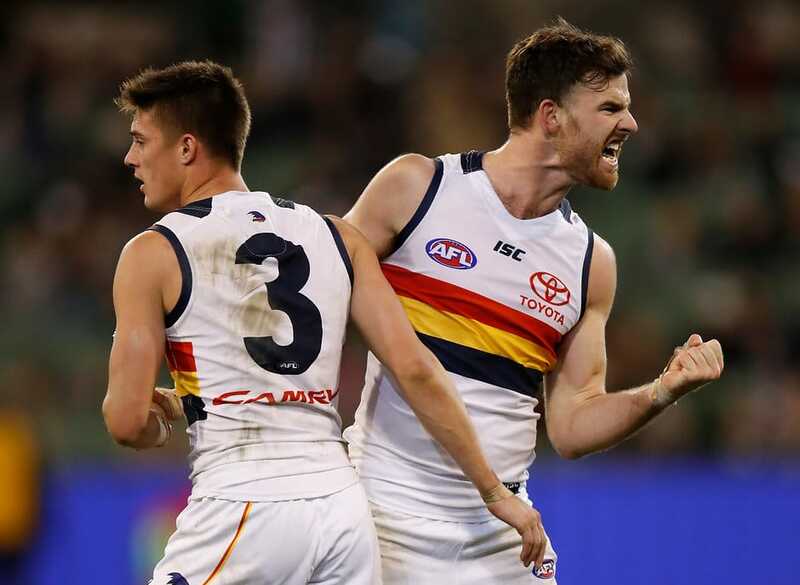 Otten, who has endured two knee reconstructions, returned to the Crows team in Round One this season after a 960-day wait between senior games. One of the feel-good stories of the year, Otten has played 18 matches and is now only three-shy of 100 career games. The versatile swingman has played key roles for the team at both ends of the ground in 2017. An unrestricted free agent, Otten was rapt to sign on with the Club he’s been a part of since 2008. “I don’t want to be anywhere else but Adelaide. Since I was a kid, I’ve always loved the idea of being a one-club player and this is another step towards that,” Otten said. “The Club has shown a lot of faith in me over the years, and I have a lot of faith in the Club. “It’s such an exciting time for our playing group, our Club and our fans. GM of List Management and Strategy Justin Reid said Otten epitomised Adelaide’s ‘team-first’ values. “Every time Andy has been called upon, he’s come in and played his role,” Reid said. “It’s a credit to Andy that he’s been able to overcome a number of setbacks in his career, while maintaining a positive attitude throughout. In more good news, draftee Myles Poholke has committed to the Crows for a further two years. Poholke, 19, was selected with Adelaide’s second pick (No.44 overall) in last year’s National Draft. The midfielder played 16 SANFL games and kicked nine goals, including the match-winner against Norwood at The Parade in Round Nine. He also featured in the JLT Community Series. Reid said it was great for Poholke to sign on with the Club until the end of 2020. “We’re really happy with what Myles has been able to do in his first year of senior football,“ Reid said.